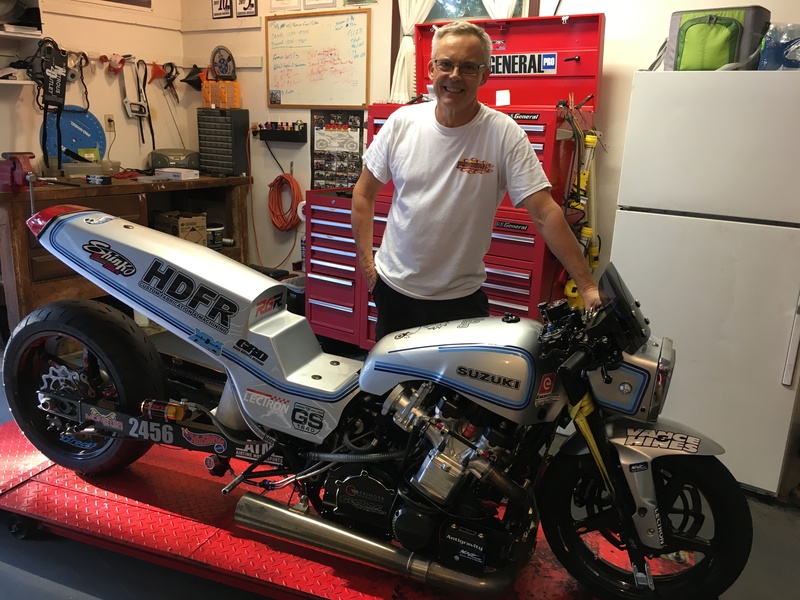 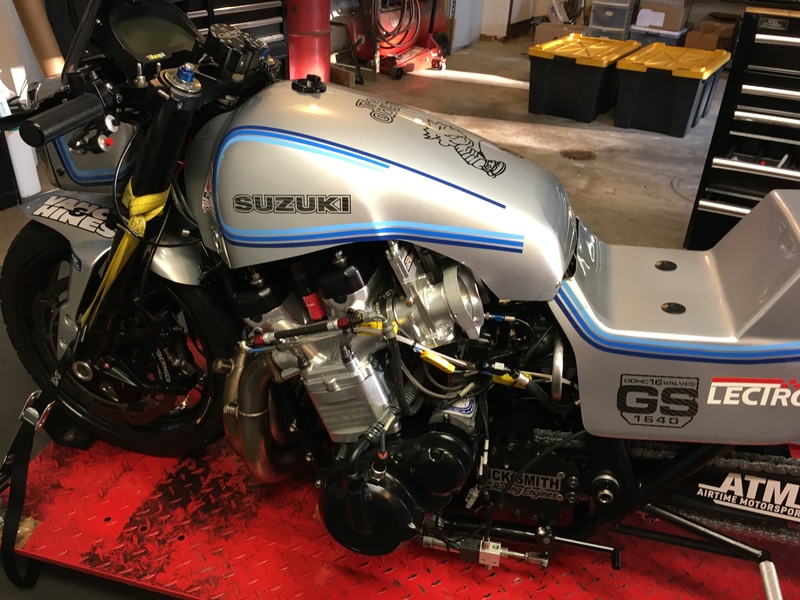 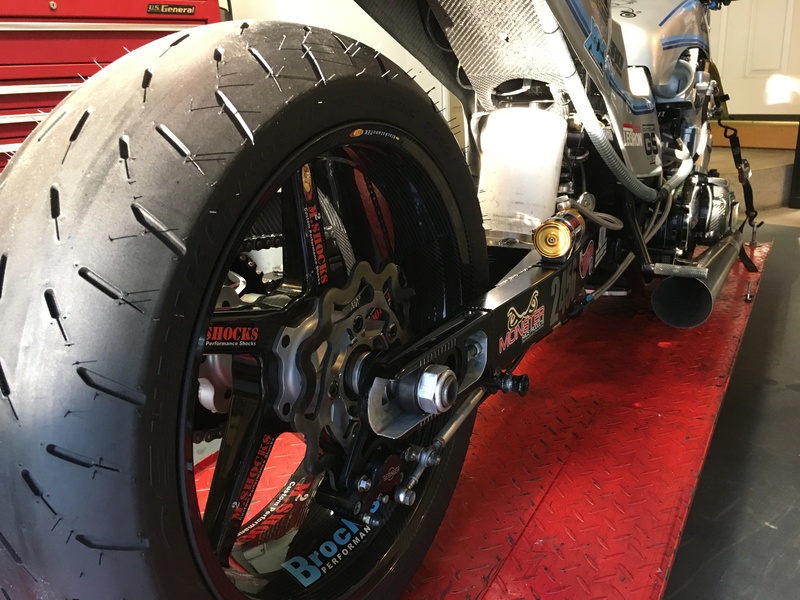 Enjoy a close look at a marvel of engineering, the world’s quickest Suzuki GS street bike, owned by Brad Mummert and ridden by Richard Gadson. 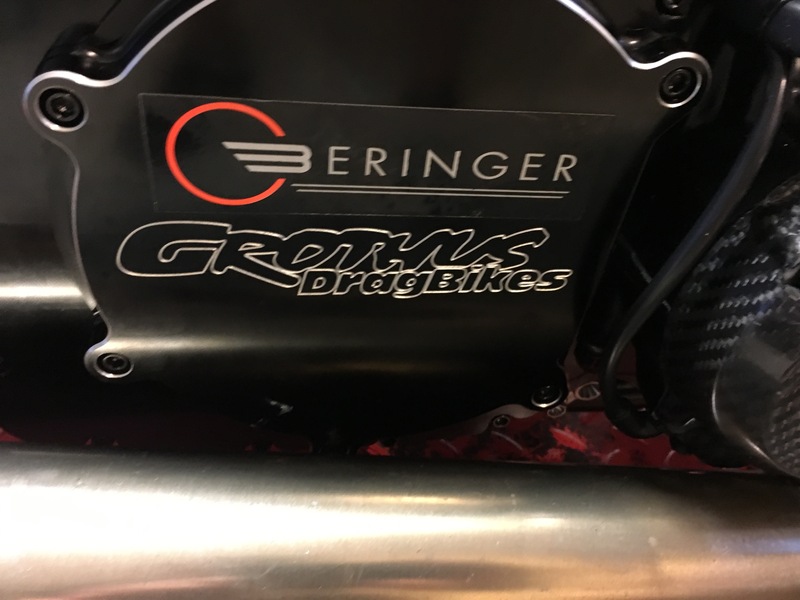 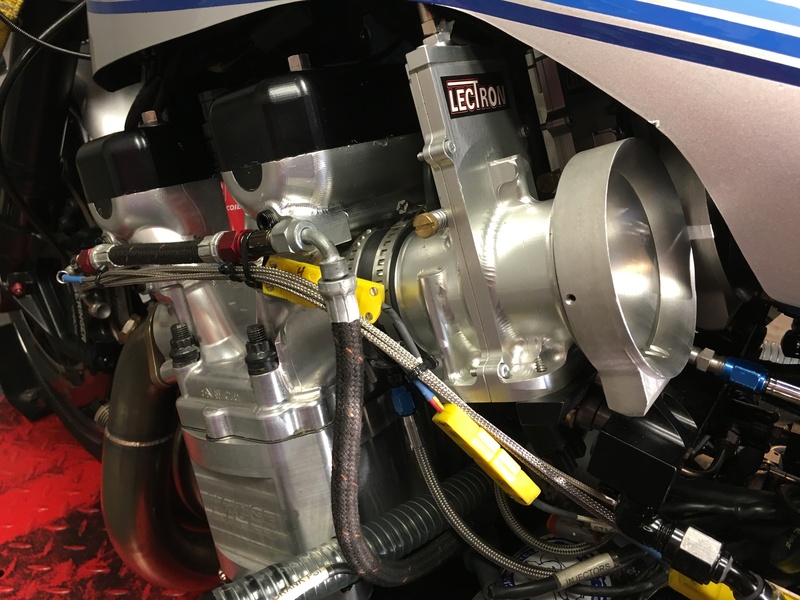 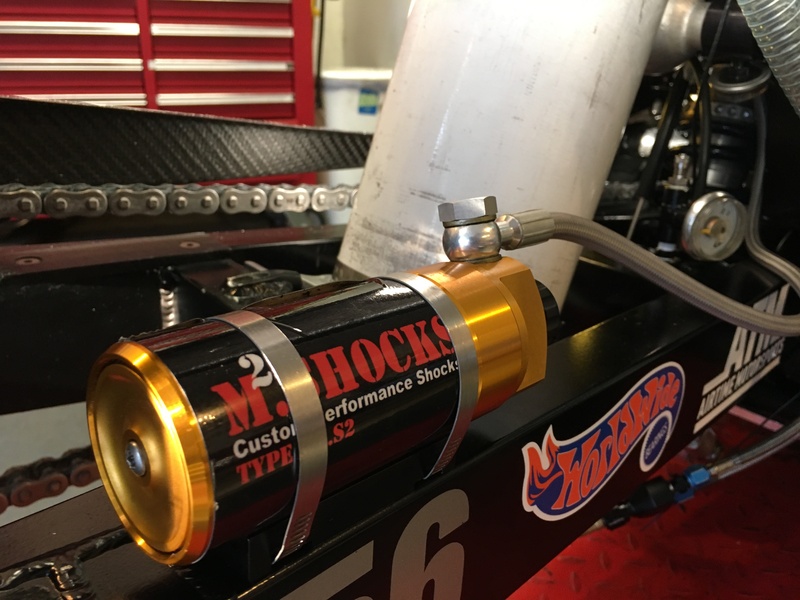 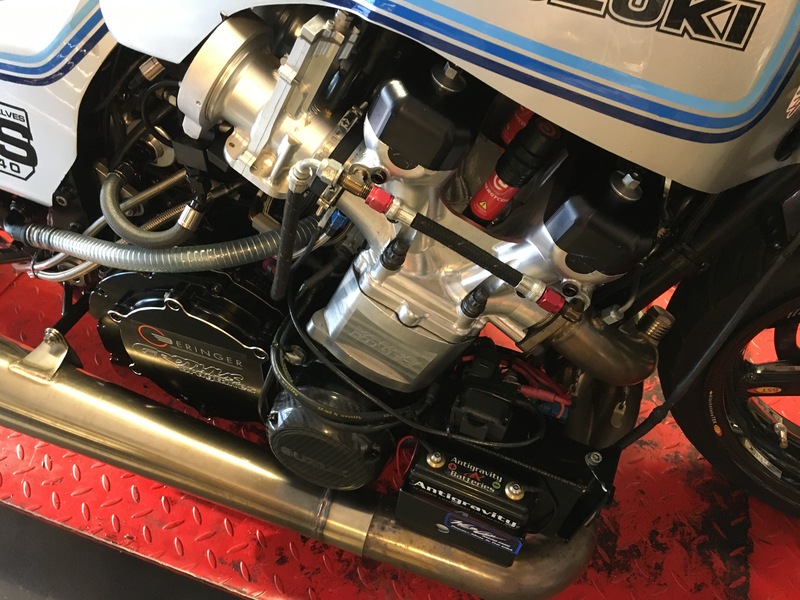 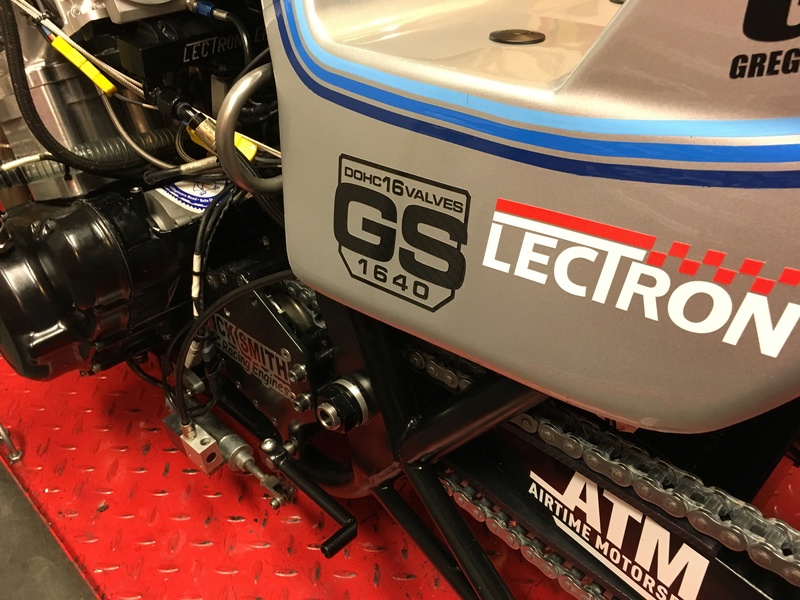 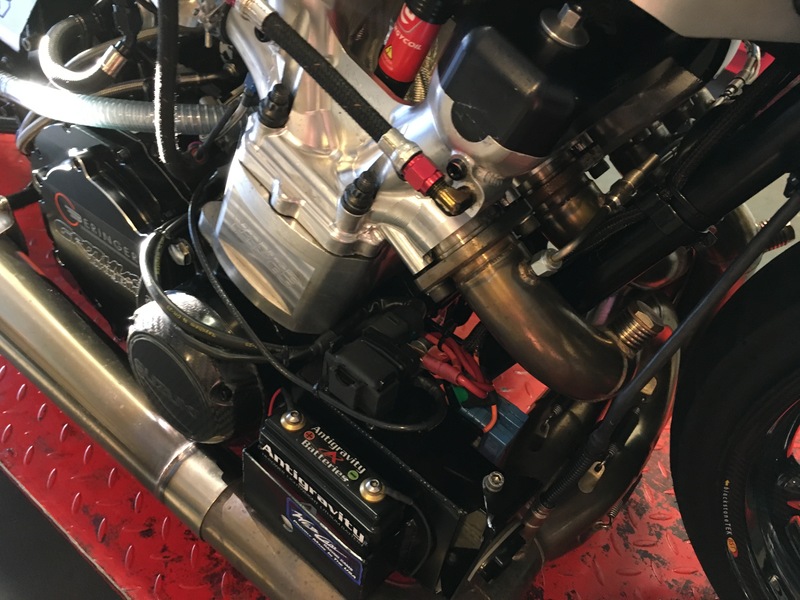 With the help of Web-Camshafts, Grothus Dragbikes, M2 Shocks, Brock’s Performance, Lectron Fuel Systems and many more, this nitrous-fed beast clicked off a 6.65 in testing in 2017 and a 6.68 in official racing in 2018. 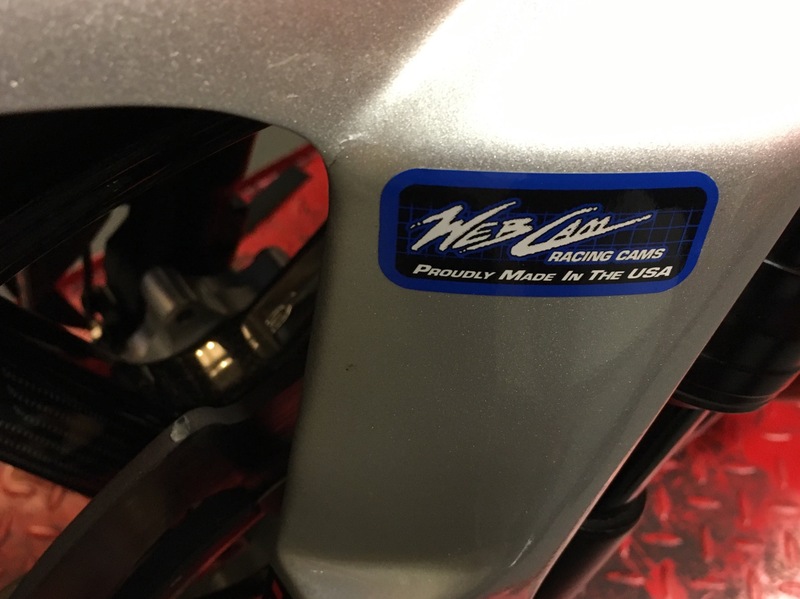 It is one of the most popular bikes out there. 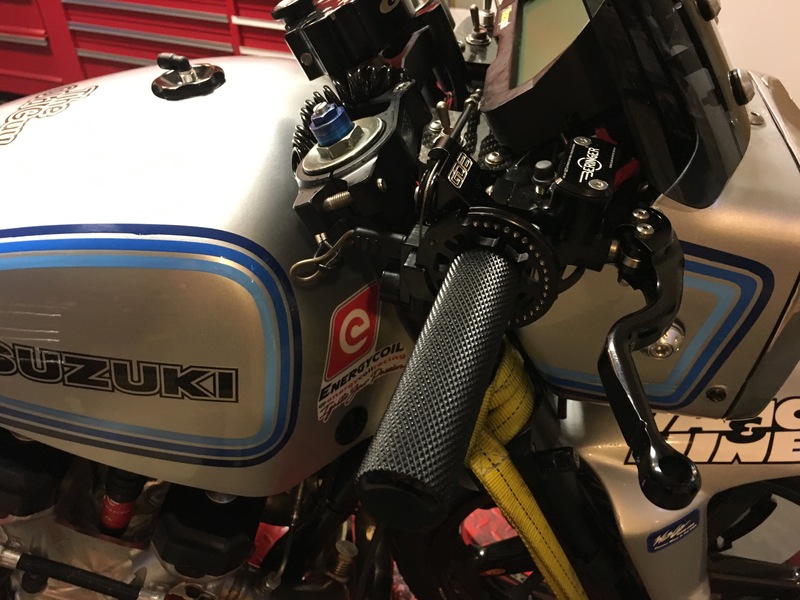 You have to hear it! 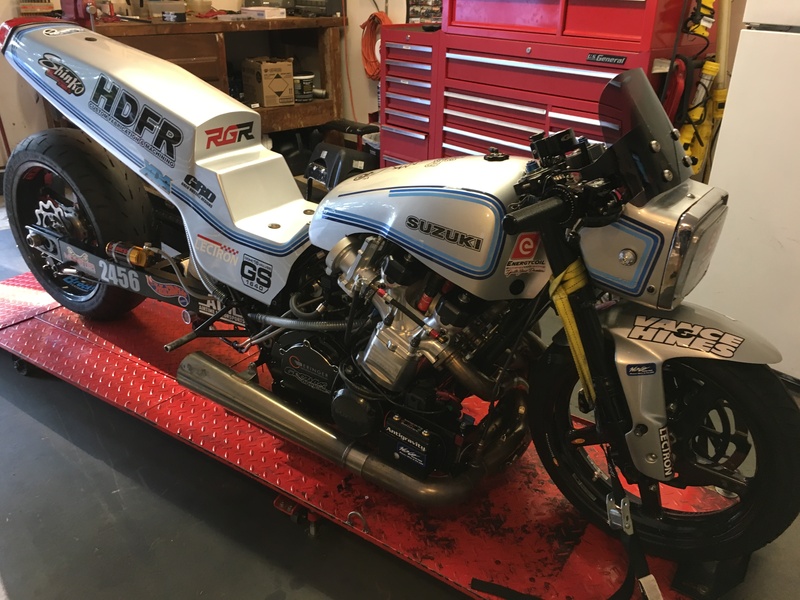 This is not your daddy’s GS!